Lunewave, a startup building new sensors to power autonomous vehicles and 5G wireless networks, has raised $5 million in seed funding to develop groundbreaking radar and antenna technologies. Fraser McCombs Capital (FMC) led the round of financing, which also included strategic investments from BMW i Ventures, Baidu Ventures and others. Lunewave uses 3D printing to create a so-called Luneburg lens antenna and radar sensors that can act as the “eyes” of self-driving cars. A Luneburg lens is spherically symmetric with a refractive index that decreases radially from the center to the outer surface. 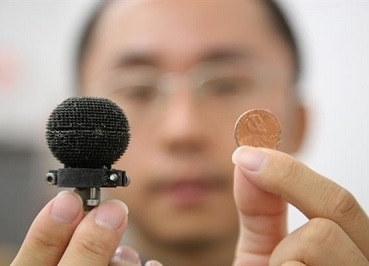 This produces innovative, spherical sensors with a 360-degree field of view and can detect objects surrounding a car with high resolution, even at long ranges and in poor weather, capabilities that are normally only achievable with the use of multiple sensors. This offers automakers a low-cost, powerful alternative to more conventional sensor systems, which can accelerate the deployment of autonomous cars. Lunewave’s highly customizable technology means it can have applications in a wide range of industries, including aerospace and wireless telecommunications. The company claims that the spherical radar sensor can replace conventional sensor systems that would require multiple sensors. The technology is also applicable to aerospace and wireless telecommunications. Lunewave, founded in 2017 as a spin-off from the University of Arizona, received the National Science Foundation’s SBIR Program award (Phase I and Phase II) and is an alumnus of URBAN-X, the MINI-backed accelerator for startups reimagining city life, and Plug and Play’s Mobility Innovation Platform. For more information, click here.